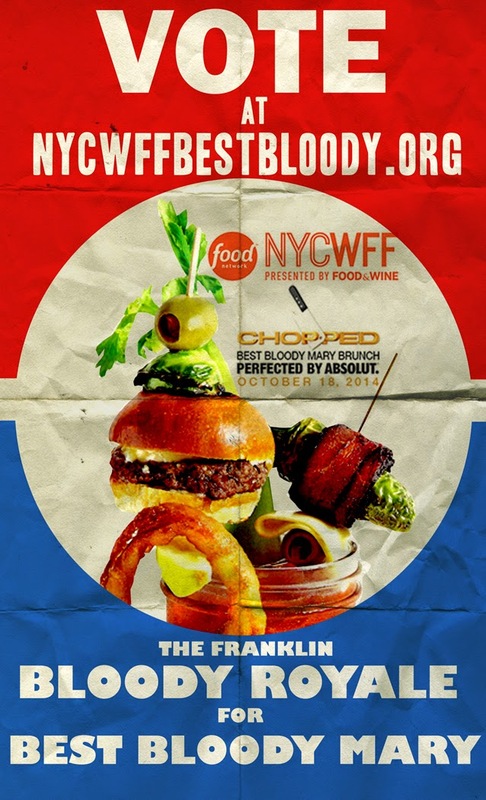 If you are getting this post than you know about our infamous Bloody Mary known as "The Bloody Royale" so please visit nycwffbestbloody.org and click the 'VOTE NOW Select your Favorite' button, then choose California from the map and scroll to find Franklin & Company Tavern's Bloody Royale recipe and vote to help us win Best Bloody Mary in America at the New York Wine & Food Festival hosted by Chopped, Absolute Vodka and Food & Wine! Then come in and order a Bloody Royale and receive a discount if you show you voted to your server or bartender! Thanks for your support!